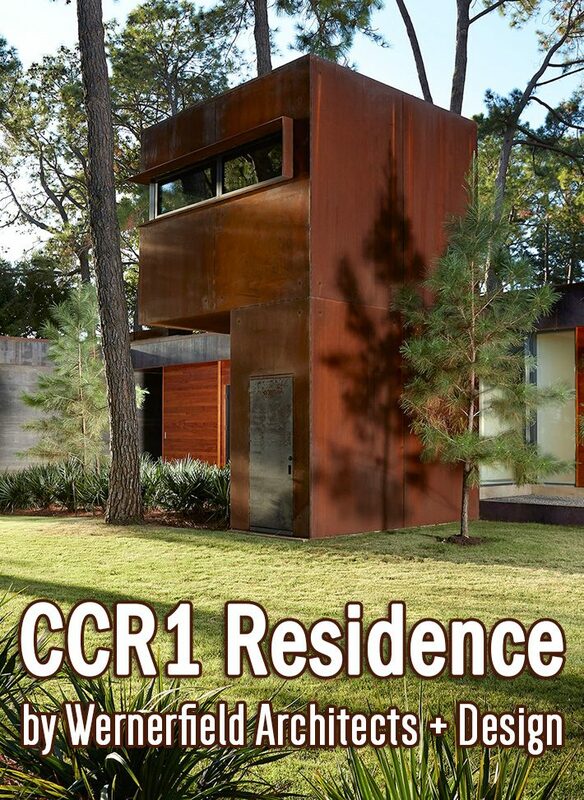 CCR1 Residence is located on a beautiful wooded site on Cedar Creek Reservoir and is intended to provide an artful and low maintenance retreat that would blend in with the site. 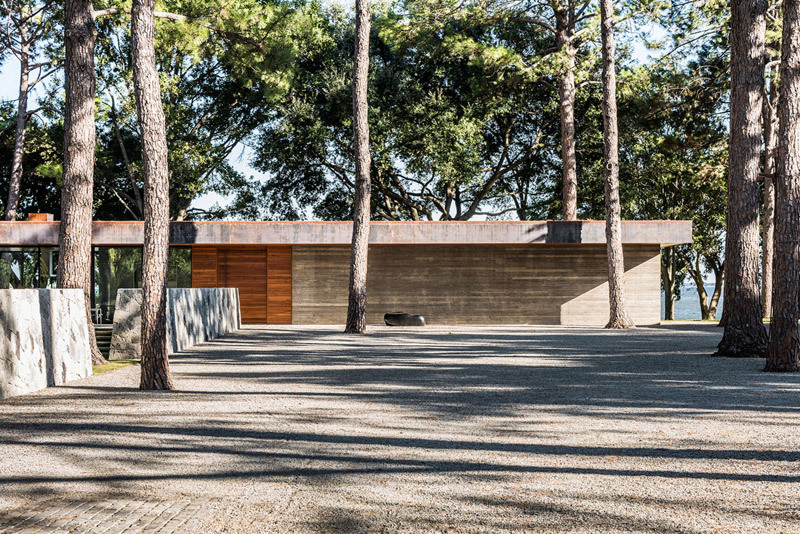 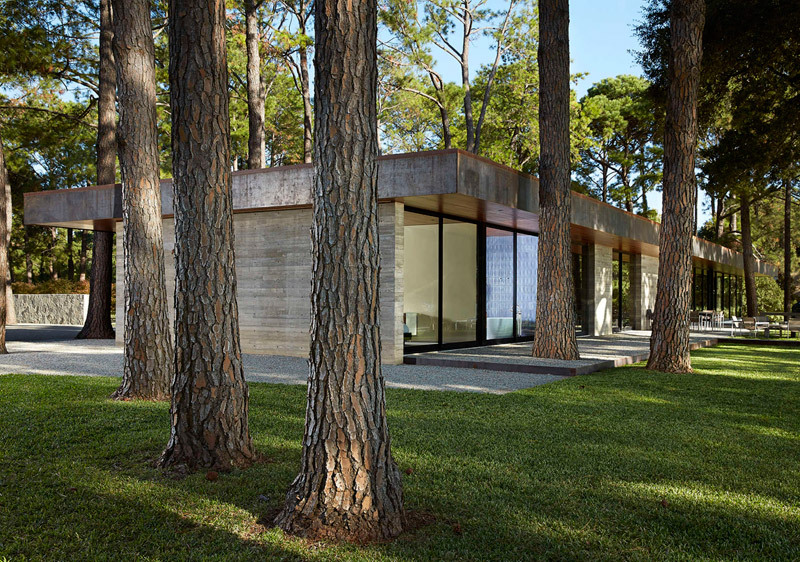 A slender floor plan design allowed for the buildings to be woven carefully through the dense forest of pine trees that were planted by the owner on the property as a child. 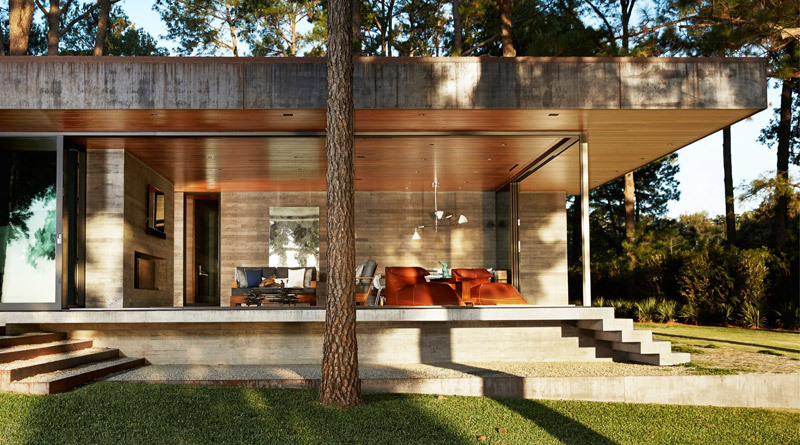 The house had to sit amidst the trees. 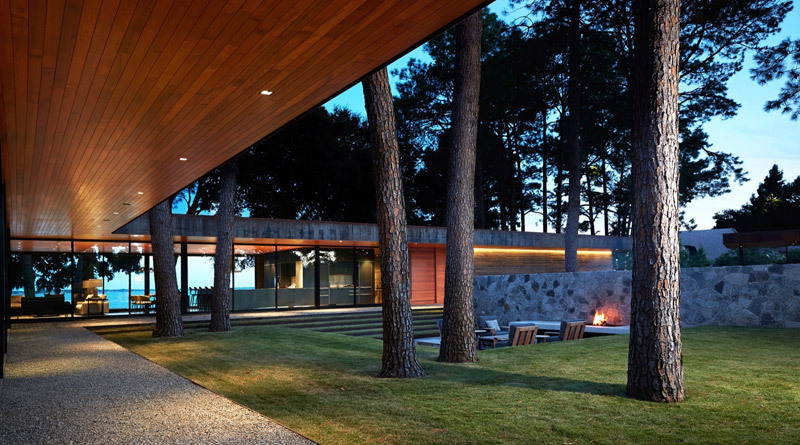 The client helped plant the now 40-foot-tall pines on this family property as a child, and the new buildings he commissioned for this wooded lakeside site needed to nestle among them as unobtrusively as possible. 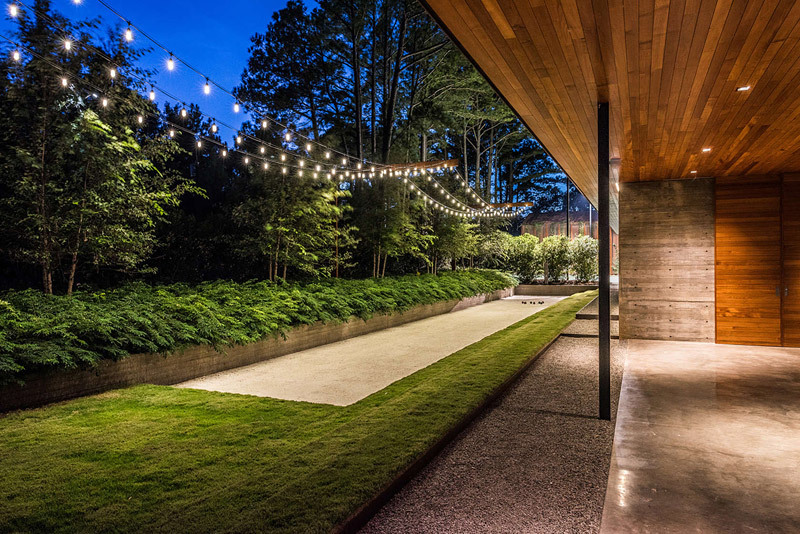 For Dallas-based Wernerfield Architects + Design, this guiding principle was already ingrained. 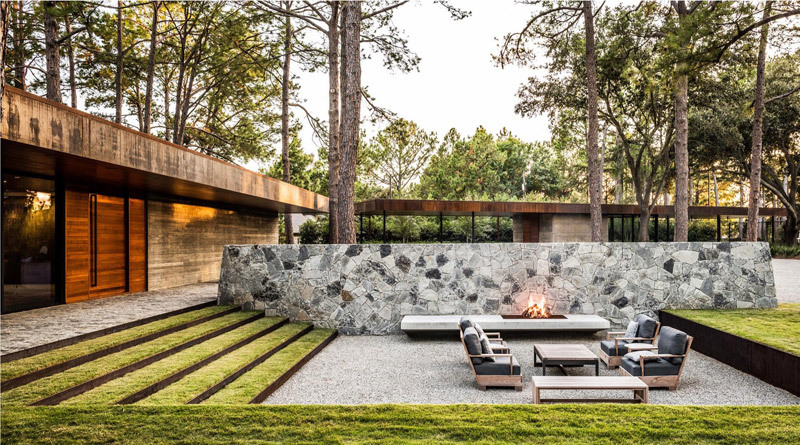 The firm specializes in organizing the buildings and the outdoor spaces of high-end residential projects to harmoniously work with a given site. 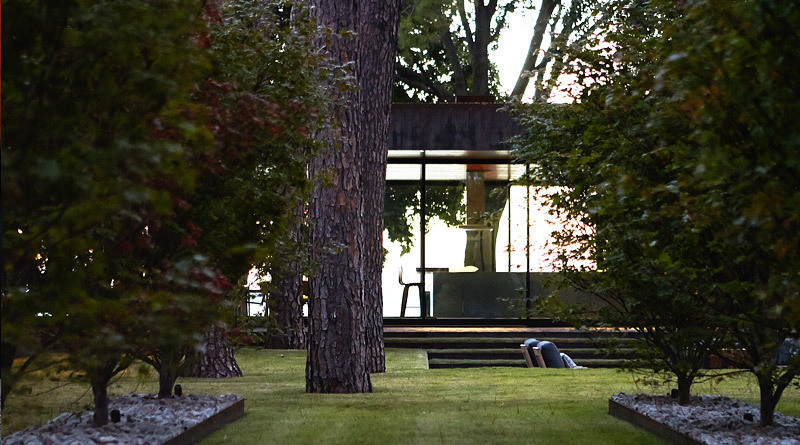 “The two kind of feed off each other. 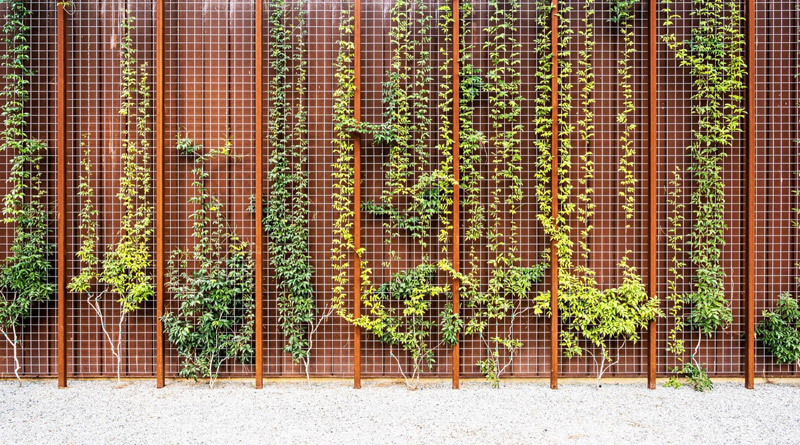 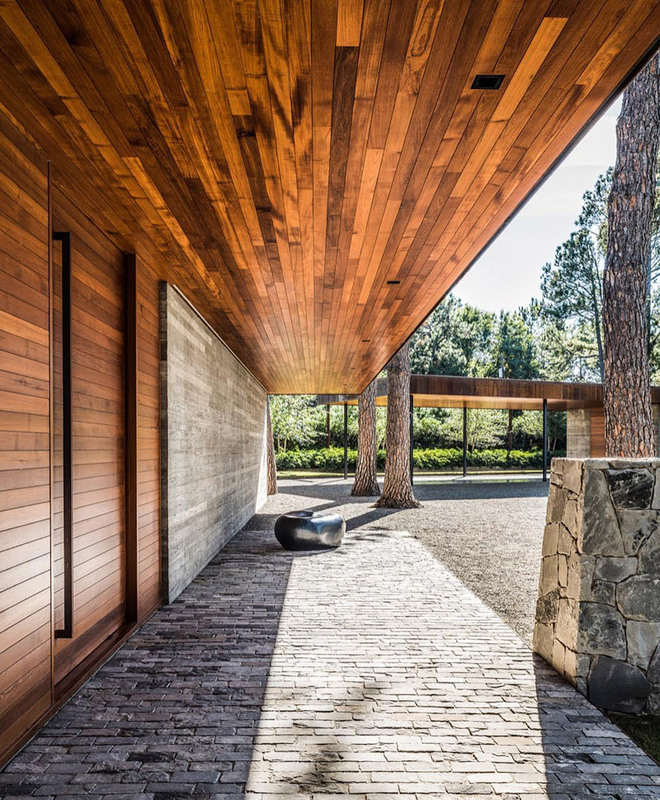 The yard feels bigger and the interior spaces feel bigger as well,” says Braxton Werner, AIA, one of the firm’s founding principals. 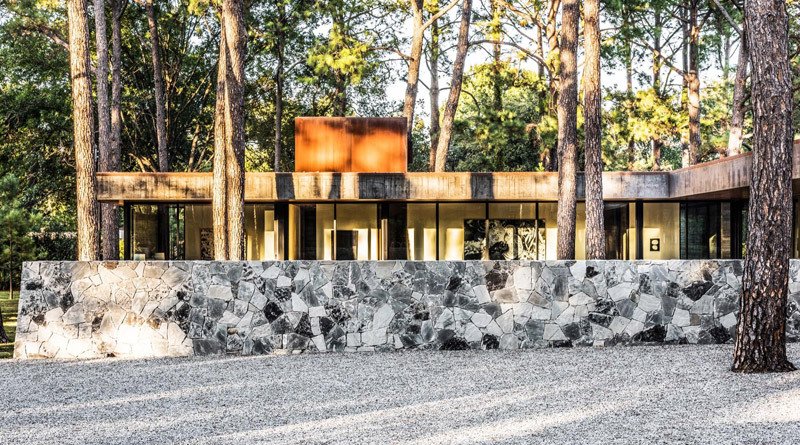 This weekend house for a family with a deep connection to the landscape offered a chance to design a building that almost seamlessly transitions from indoors to outdoors. 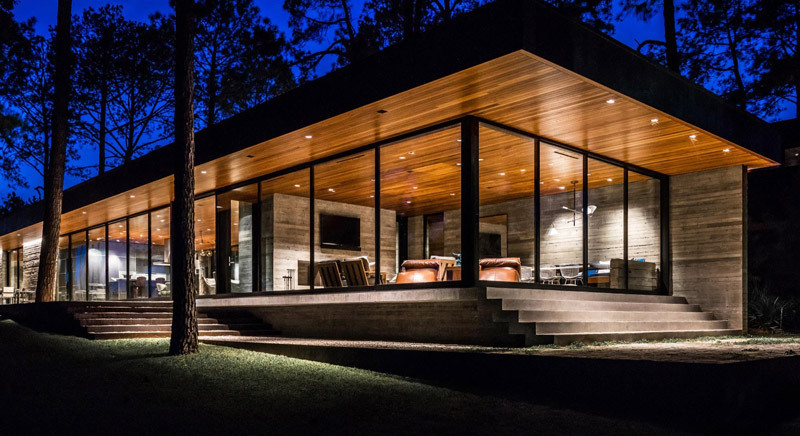 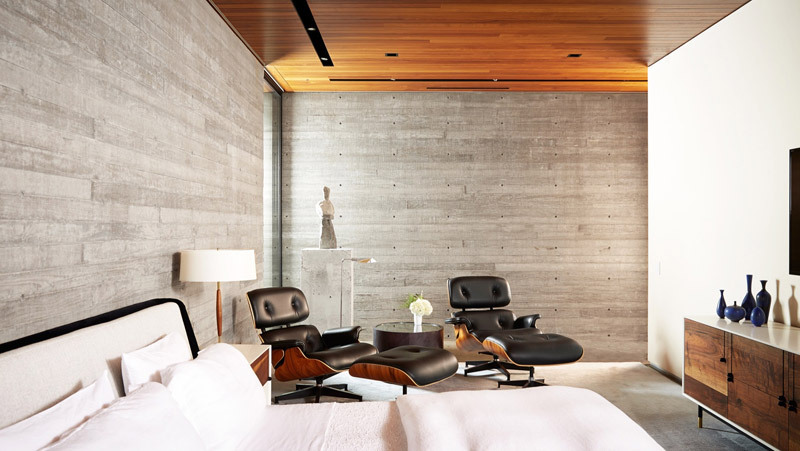 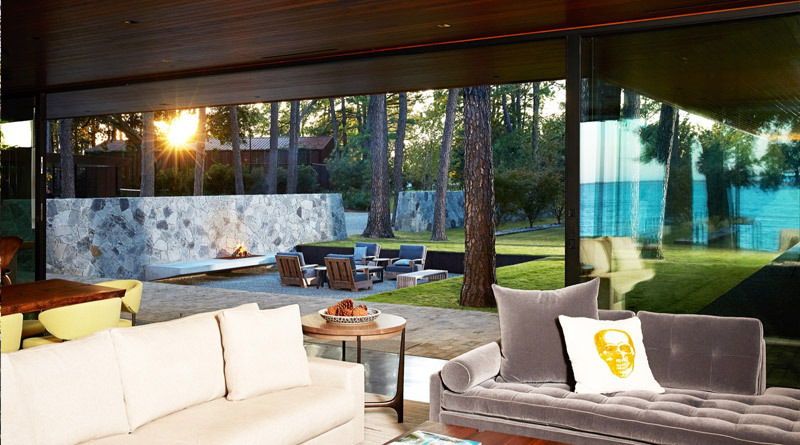 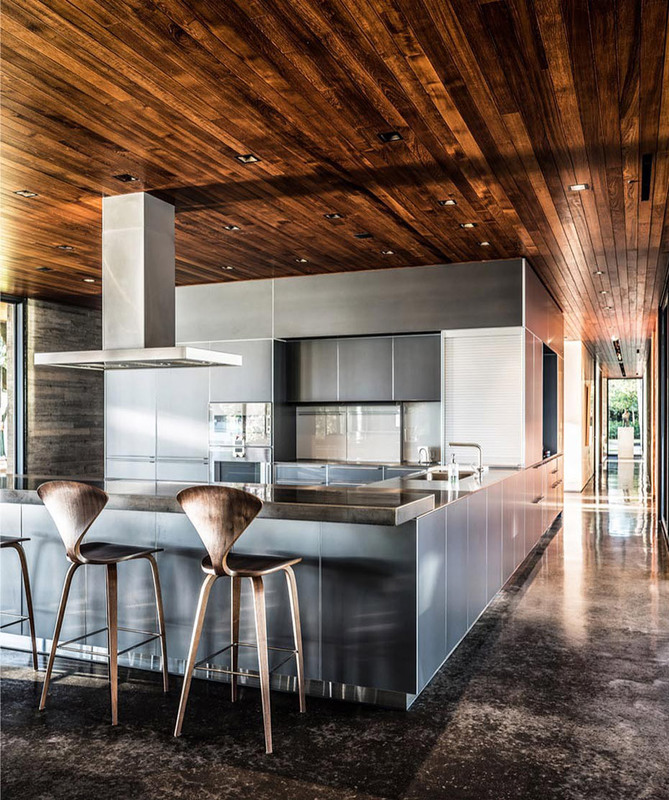 Located about 60 miles southeast of Dallas on the Cedar Creek Reservoir, the 4,600-square-foot CCR1 Residence boasts an interior as elegant as its connection to the landscape. 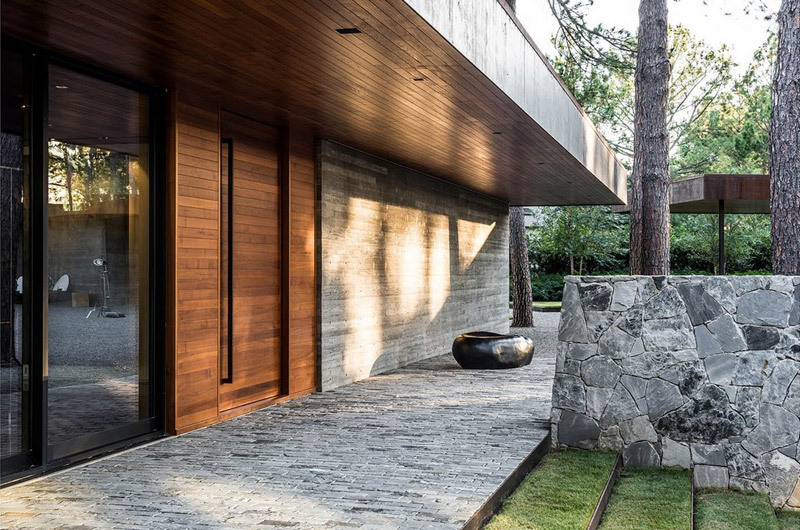 A stone wall lines the driveway, serving as a third wall for the sunken patio and firepit at the center of the L-shaped house. 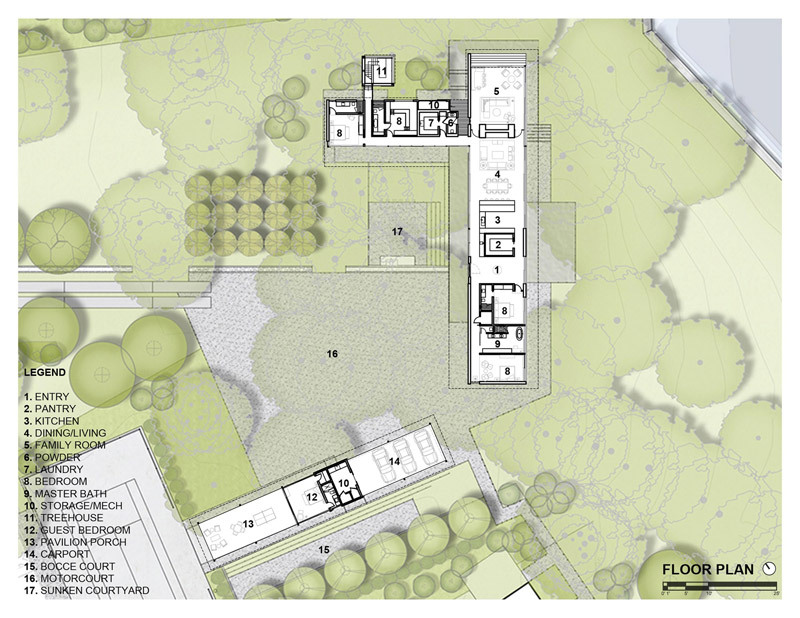 The main wing contains open common spaces like the kitchen and a conjoined dining room and lounge area. 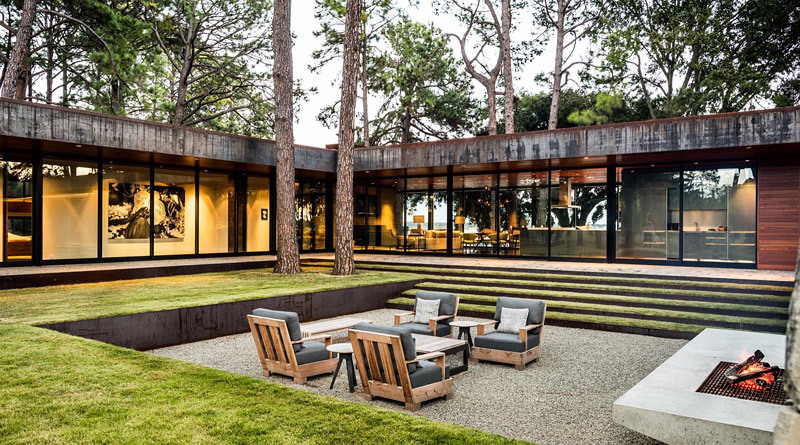 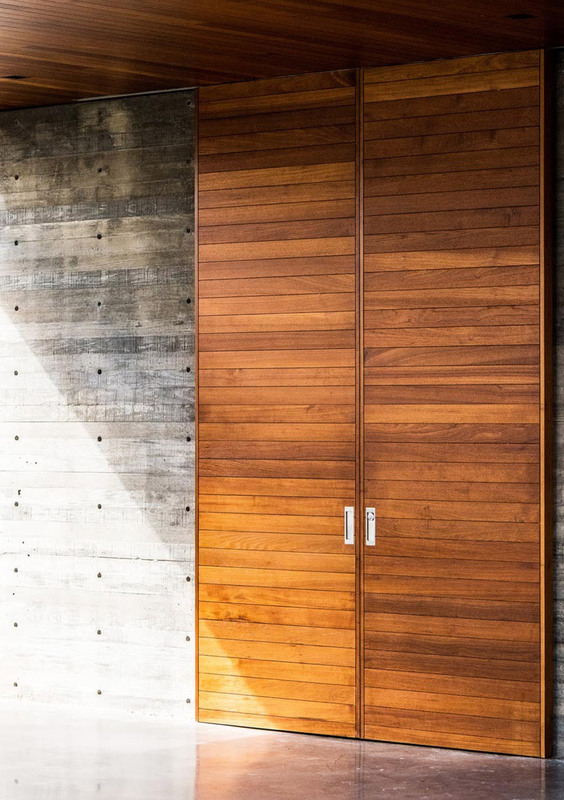 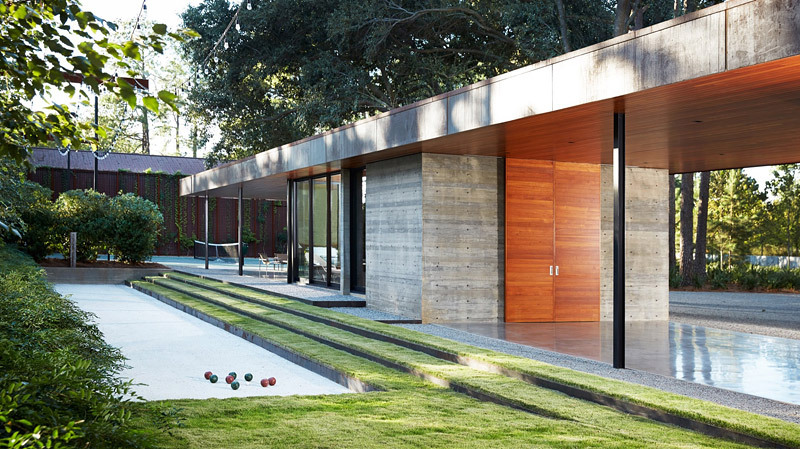 Full-height sliding glass doors on the east and west façades face the lake and the courtyard, respectively, opening these areas to the lake’s breezes and offering protected views when the winds pick up. 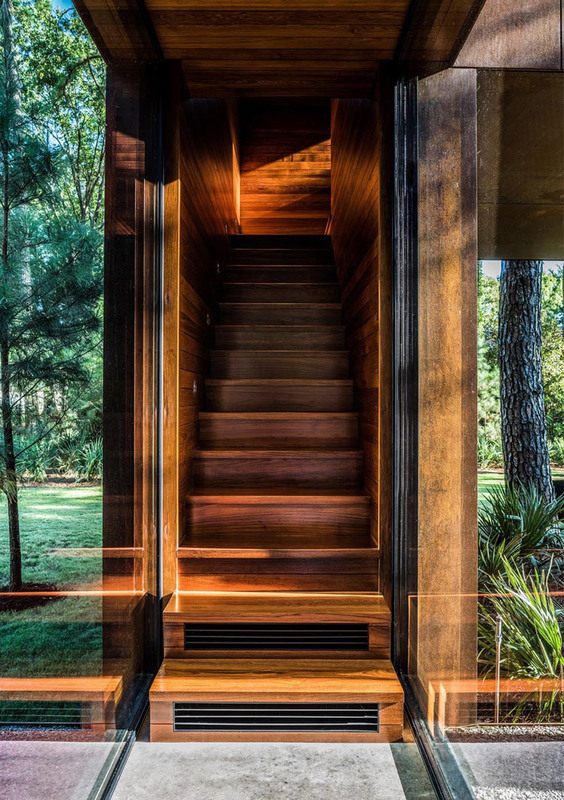 Additional full-height windows provide views throughout. 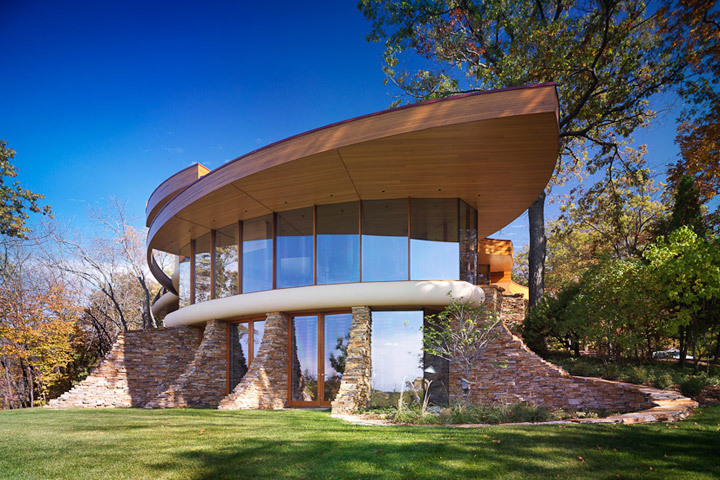 The only part of the house that rises above its single-story profile is the “treehouse,” a watchtower of a room intended for the children. 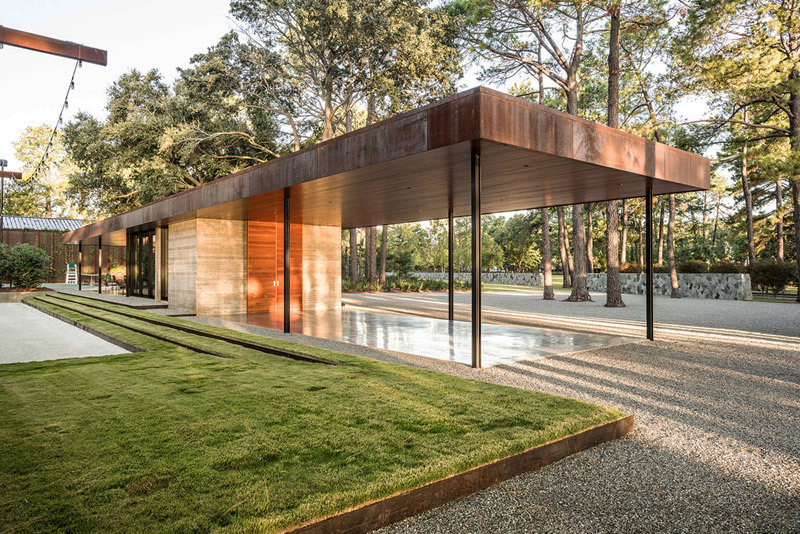 Another structure to the west contains a guest suite and storage flanked by a covered porch and a carport, lined on two sides by a bocce ball court and an existing tennis court. 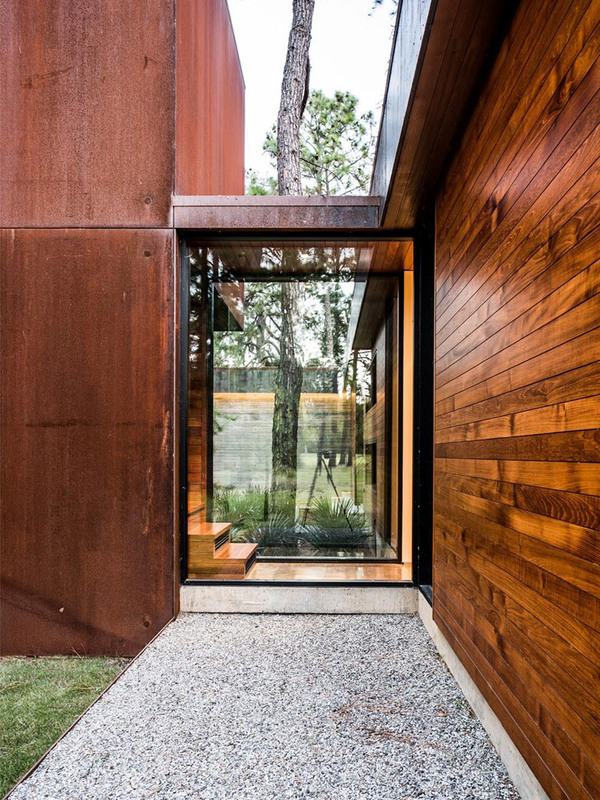 A storage barn, also designed by the firm, sits beyond. 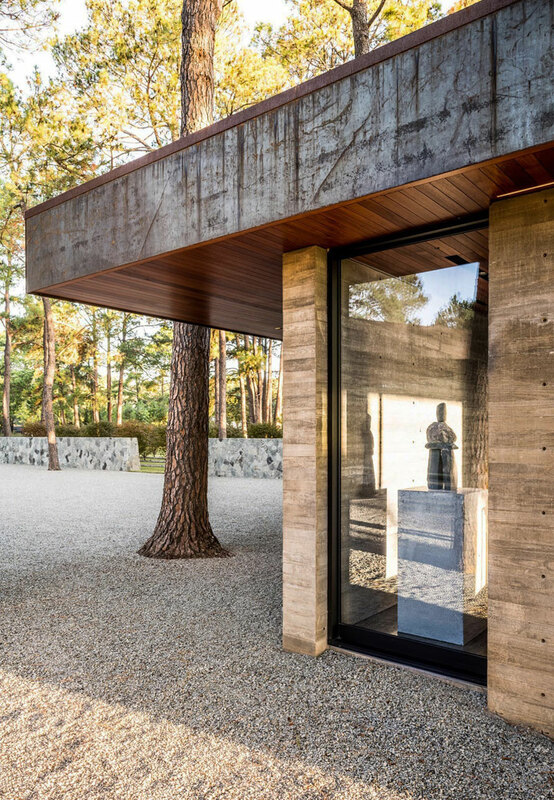 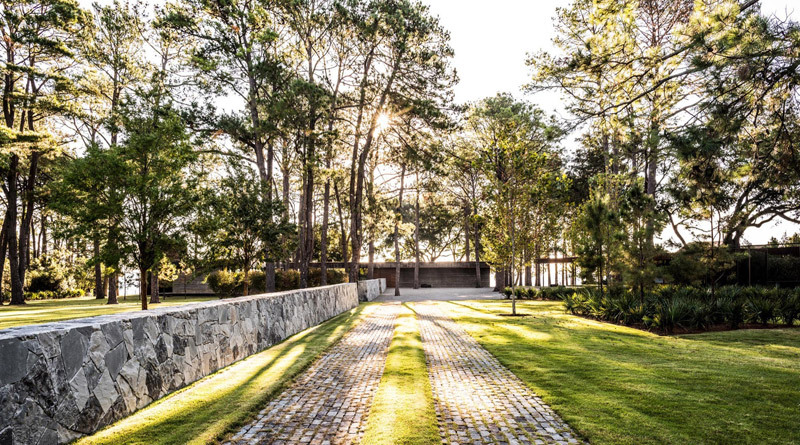 Wernerfield worked with Dallas landscape architecture studio Hocker Design Group from the start, developing the site’s layout, the relationship between the CCR1 Residence and the trees, and the guiding geometries of the stone wall and wings of the main house. 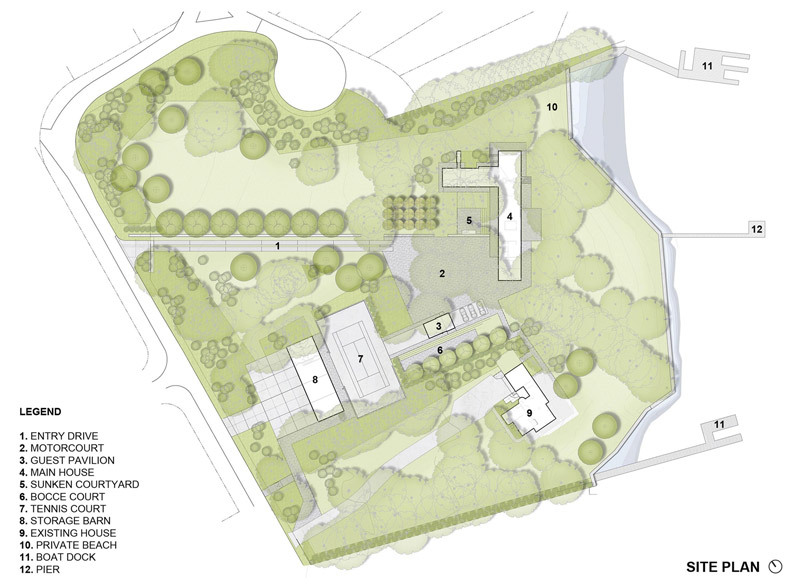 “It was a very holistic process,” Werner says. 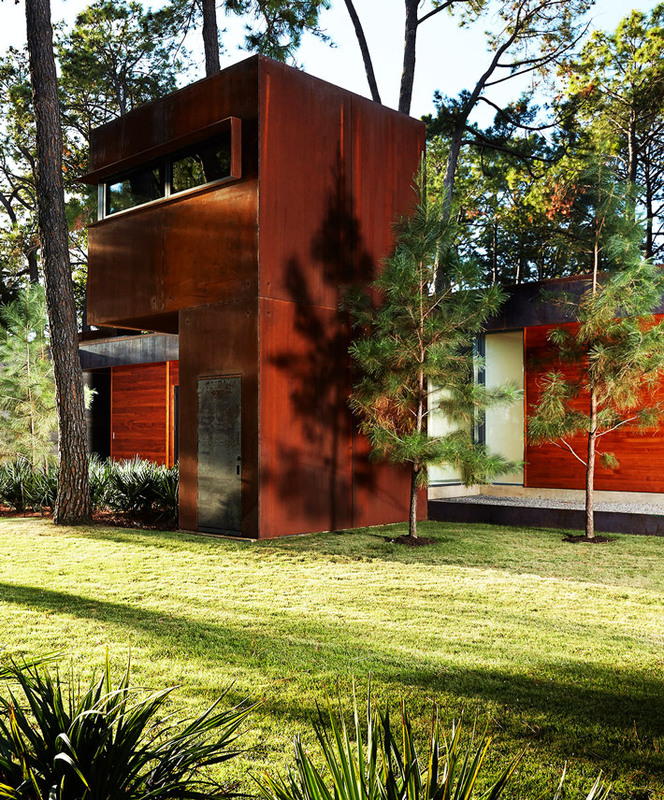 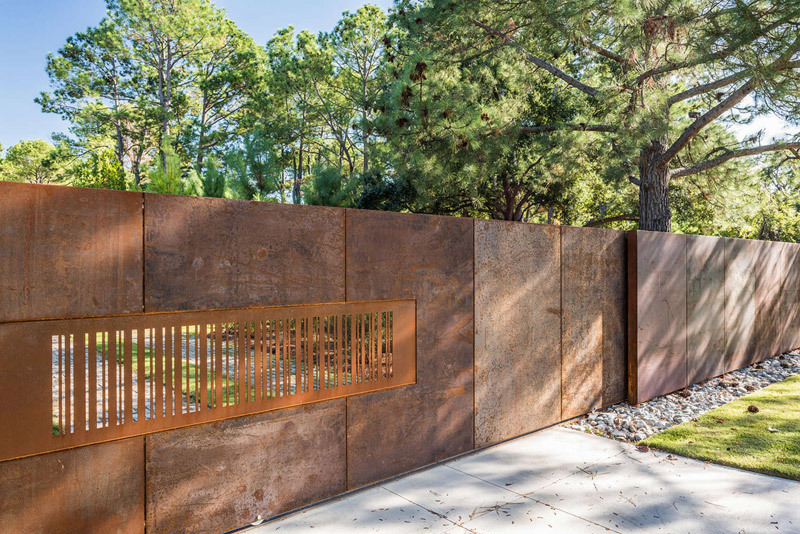 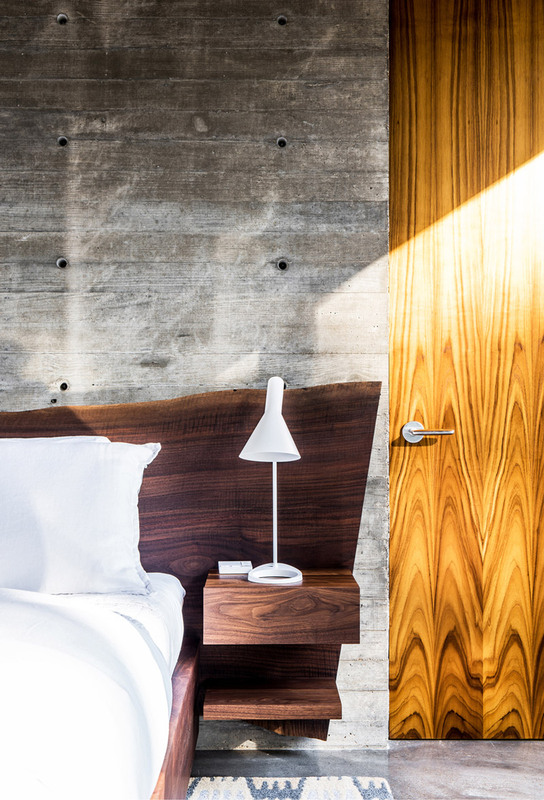 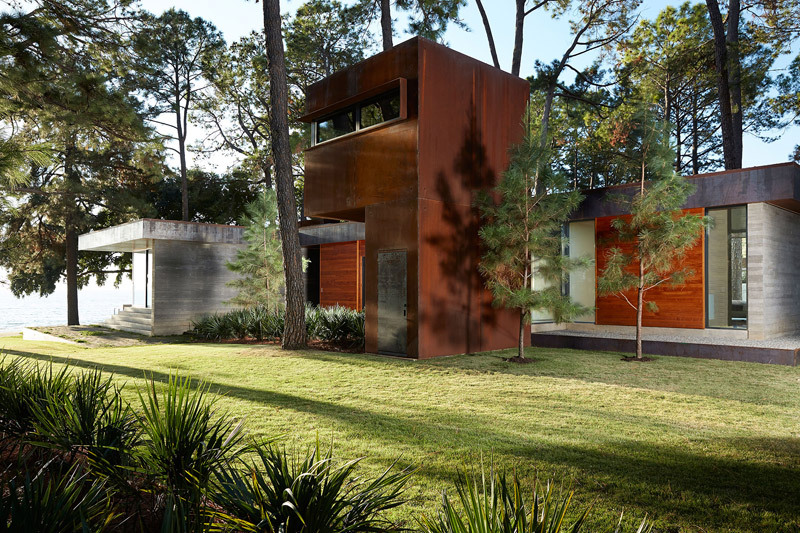 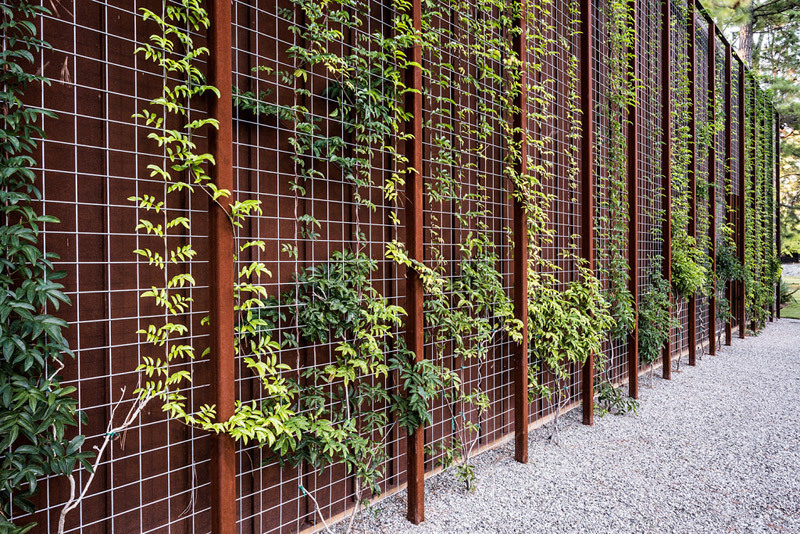 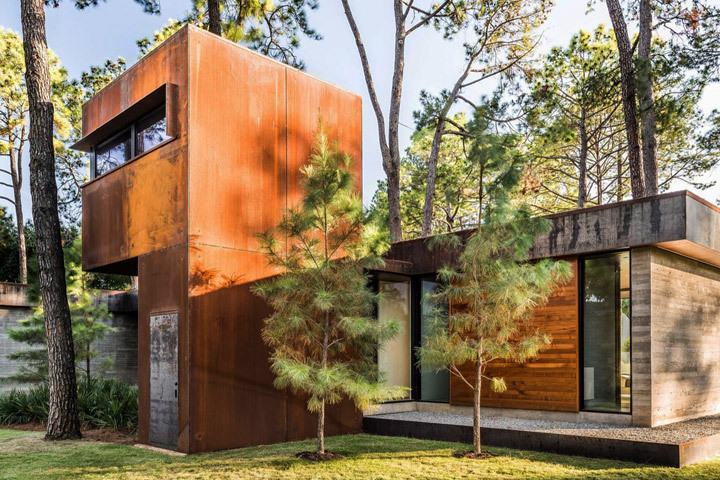 Two primary materials—concrete and rusted carbon steel—are evident throughout. 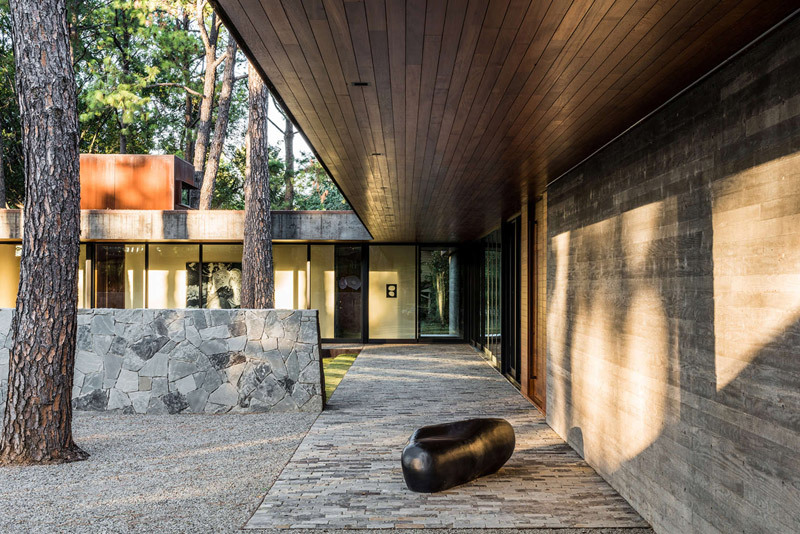 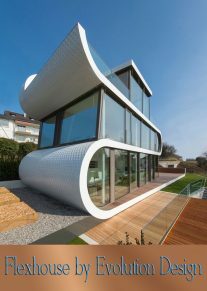 The architects chose them for what they call their visual quiet because neither they nor the clients wanted the house to detract from its surroundings. 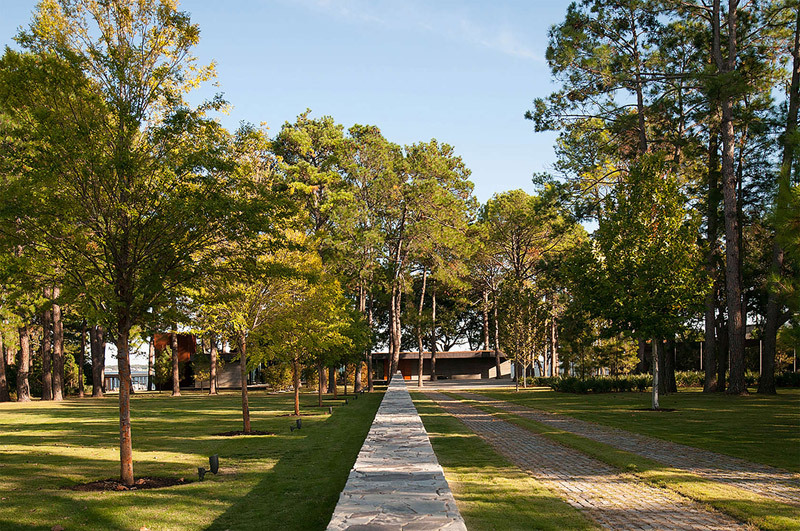 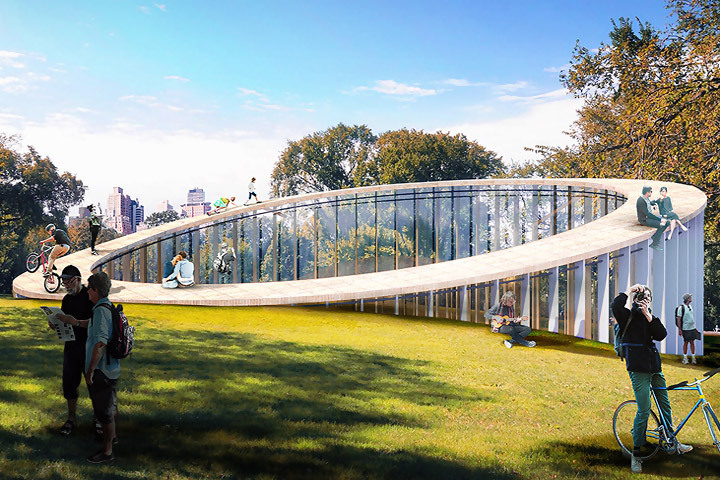 “It’s more about the spirit of the place than the architecture itself,” Field says.